We decided to get a head start on making some Christmas ornaments. It was intended to be a fun activity to help us keep ourselves occupied until Daddy came back from Chicago. I gave Adelynn some glue and a paint brush. 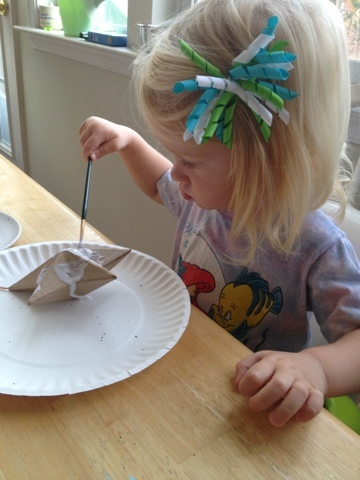 She was so excited to paint that she had no idea about what this craft was all about. Nor did she have a clue as to the level of excitement glitter can bring. 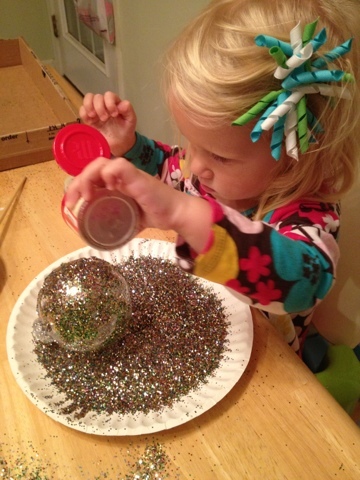 That is until she figured out why glitter is so wonderful. 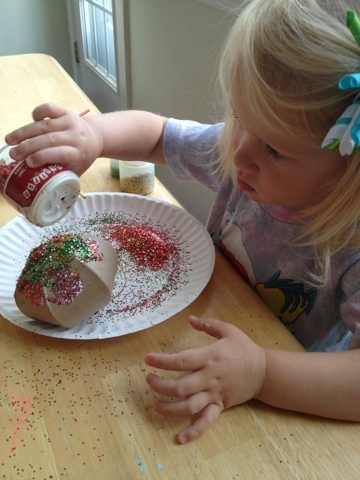 We used some old spice jars for her glitter. The smaller bottles made it easier for her to control the fun. I love how serious her face is in these pictures. She really took her time thinking about how her ornaments were going to be crafted. 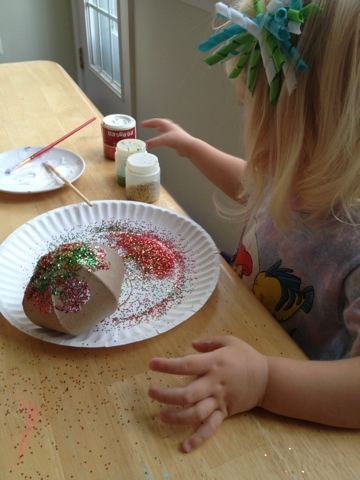 She carefully selected the glitter each time. It was fun watching her think about which color she wanted. Because she had so much fun working on ornaments after lunch I let her work on one more after supper. She could not get enough of the sparkle. I hated seeing her cry when we cleaned up our mess. 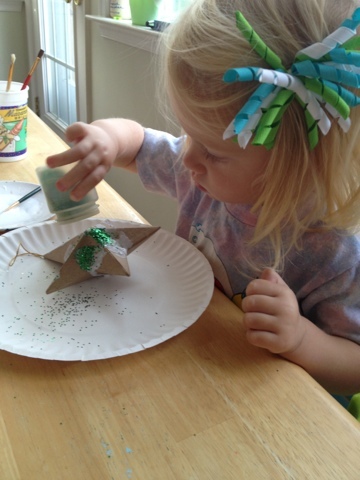 She had such a great time creating her ornaments. We will be working on more next weekend. Although at her intensity we may need about 100 more ornaments!